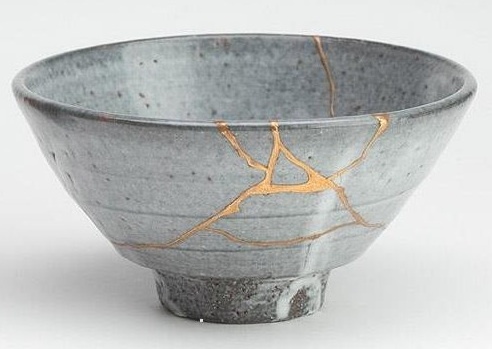 Kintsukuroi is the japanese art of repairing broken pottery with gold, and the understanding that the vessel becomes more beautiful for having been broken. Everyone you meet is kintsukuroi. We all get broken in the jostle of life. Sometimes it can be hard to see past the jumble and sharp edges of a person’s flaws but the way to see the gold is the same thing that puts it in there, compassion. With compassion, you help a person put themselves back together. With compassion, you help people see the value in themselves. You help a person see that their beauty is in their flaws, their value in their wounds… even when that person is you. This is really beautiful. I will remember this, use it, I may even borrow it in as far as that serves its dissemination.